U made it perfectly ,Quiche looks very tempting...Take care of u dear!! Looks so yum :) Would love to taste the chicken version of this..
You are right!! that looks super quick and easy! yummyyyyyy!!! 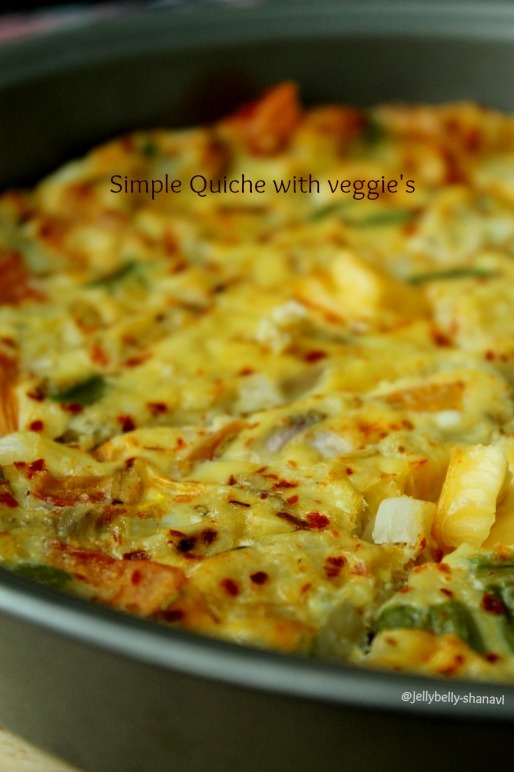 cheesy & loaded with veggies!!! How you doing? 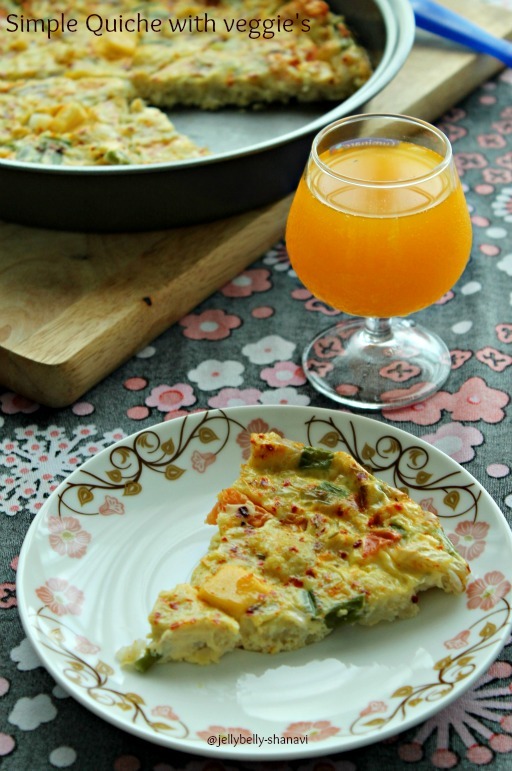 Quick and healthy quiche..delicious one pot meal.. Simply stunning and mouthwatering quichie. Delicious preparation. Yeah man, nice post. There are two very important features to an excellent quiche: a light, flaky crust and a heavenly filling. 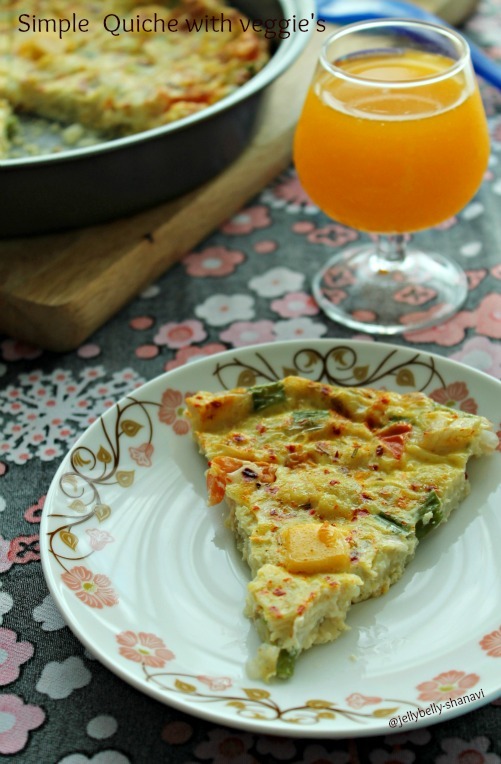 Quiche is such as simple meal. It can be served for regular family dinners, a brunch or for an elegant entree for guests.